I spent a whole day listening to Twitter’s analyst event, to see if I could get an inkling of where the company is headed in the next few years. As a longtime user, I’ve been wondering where the company might take the service. Over the last year, the company has piled increased advertising into the newsfeed, as its main timeline polluted with other people’s interactions and blue conversation lines invading everywhere. Naturally, this leaves me wondering where exactly Twitter will eventually end up. At Twitter’s first analyst day, the company shared a lot of details around its plan for the service, where it is headed next and how it thinks it will increase revenue from its users. We learned that there are a number of big changes coming to the main timeline and direct messages in the next six months. 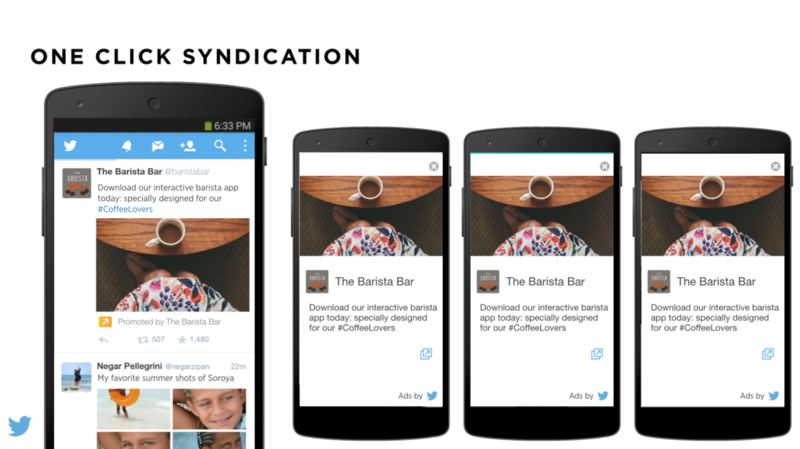 It’s pursuing more signups, more eyeballs and more advertising on the service. While some of these changes are good, the purpose of virtually everything Twitter is working on appears to be aimed at pumping the numbers. These things are good, but as we wrote earlier this year when the company launched its new onboarding functionality, Twitter is still missing the core value of the service: engaging with other people on a meaningful level. But the company has some new tricks up its sleeves to get people back. One of Twitter’s larger problems is that its intrinsically hard to discover content or people both from the outside and as a new user. Some efforts like Magicrecs have paid off hugely, so the company is implementing other ways to keep you up to date on what’s happened since you were gone. A new ‘while you were away’ that appears near the top of the timeline shows a tweet that the service thinks you won’t want to miss after you’ve been gone for a while. The company also plans to work on its direct messaging feature, adding more functionality in the coming weeks in order to make it more usable as a messaging product. 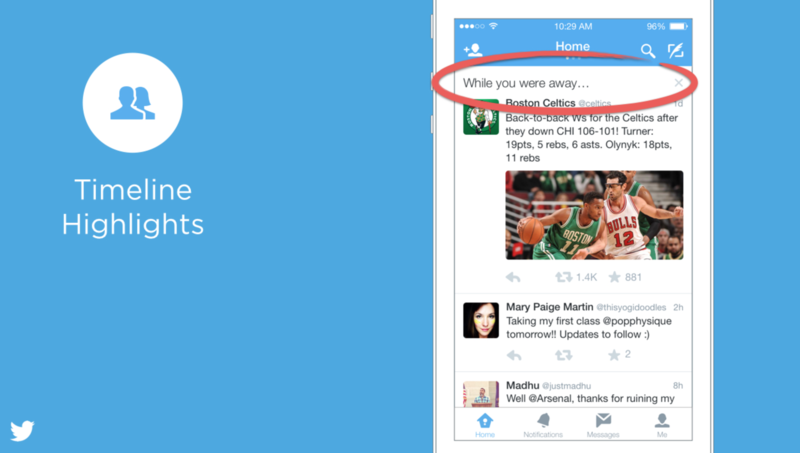 This is starting with the ability to share public tweets inside direct messages themselves. Twitter plans on marketing to these users to help educate them better and by giving them an “instant timeline” of their interests (instant timeline is this existing experience that sets you up to follow brands and prominent users). The company believes by helping you to get straight into an active timeline full of your interests, new users will eventually start creating their own content. It takes a lot of work to find the sweet spot on the service, which involves finding the right cross section of brands, notable people, interests and real people that eventually makes Twitter engaging and addictive. Much of the work Twitter is doing here appears to be in order to get you to stick around long enough to make some friends on the service. This is something the company admitted has been difficult. 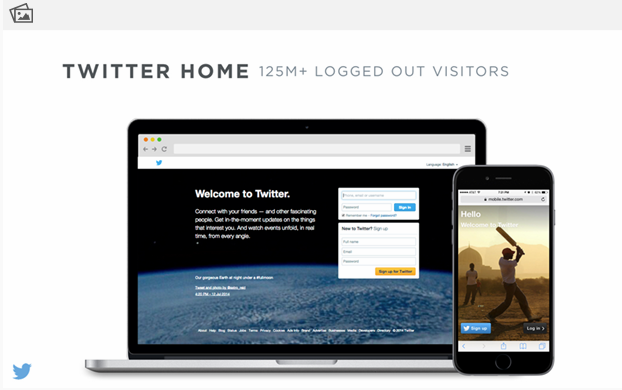 Twitter says it receives over 125 million logged out visitors on its homepage alone; a staggering number, considering that there’s isn’t actually that much to do on the homepage. The company said that a large chunk of its focus going forward will be on this area, noting that it believes this could gather another 500 million visitors every year, or $1.3 billion in revenue. 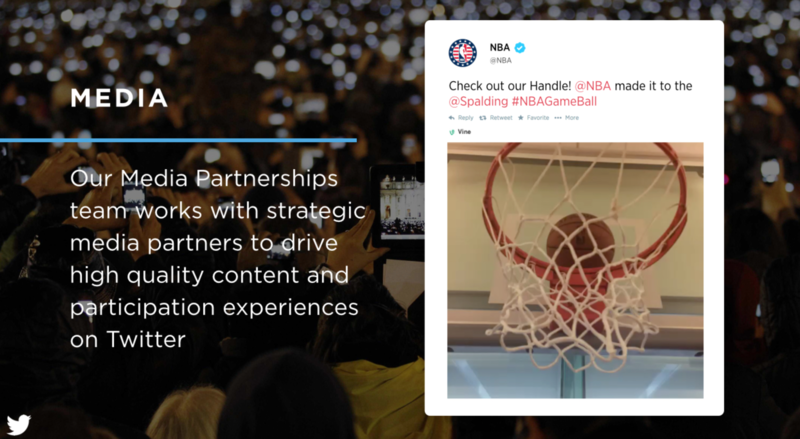 Part of this push will be partnerships with more media companies, sports teams, TV shows and other notable groups. Much like the service’s huge push with the FIFA World Cup this year, Twitter hopes to work with these groups on a regular basis to help drive users back to the service. A Twitter executive said during Q&A that most of its users come to the service to find out one thing: “What’s up?” In aid of this, we’ll see special landing pages built for events as well as the eventual ability to search for topics easily and get rich results relating to what’s unfolding. The company is also pushing visual media as a huge priority, saying that “visual is the medium of communication for generation mobile,” so more content than ever will be visual. You can see this focus already, with the company adding multiple image support, GIFs, Vine and now native video to the service just in the last year. What really matters to Twitter, however, is advertising and how it can leverage your eyeballs for ad revenue. 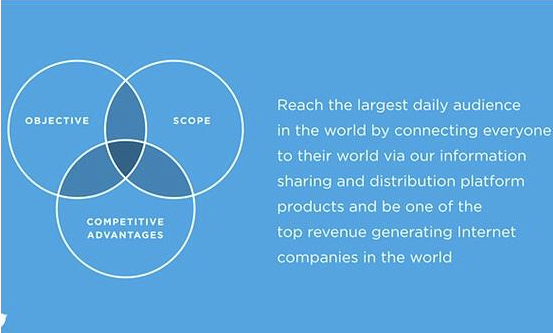 What’s concerning about the company’s motivation for getting more time with your eyes is the “strategy statement” shared at the event, pictured below. This aside, the company spent a lot of time today telling analysts about a future in which you tweet something like “I want a coffee” and an ad quickly materializes in your feed from the local coffee shop, leading you to click on it, then end up going there. If Twitter can nail this, it would be very useful and scary all at the same time. I tweet things like “where’s the best restaurant” not because I trust someone who threw money at a company to show me an ad, but instead because I want a friend to recommend something. This said, given the right context, it could get me the answer faster than I could ever hope for. The company plans to use a ton of data it collects about you to show these ads in the most accurate way possible, rather than just throwing random advertisements in your feed. This could be huge and far less intrusive than what we see today around the web. The goal is for Twitter to make these rich advertising experiences easily accessible to almost any business, so that even smaller organizations are able to reach the people they want to. 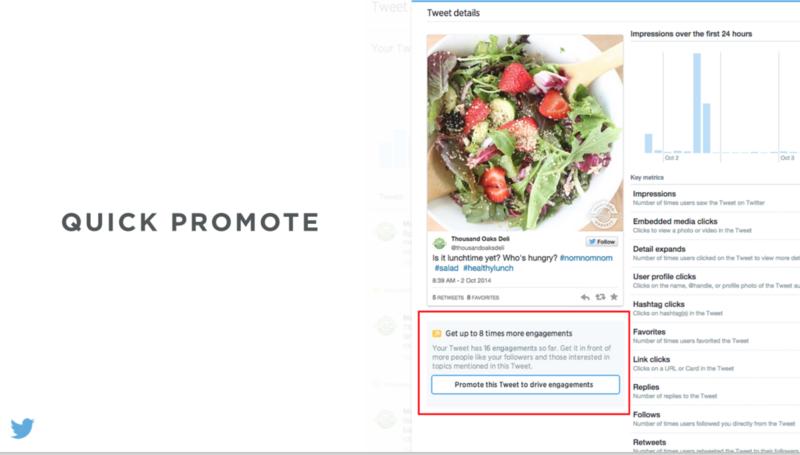 A new feature that’s now appearing on Twitter Analytics aims to improve this by making it easy to graduate well performing tweets into advertisements with a few clicks. What remains to be seen is if these changes will drive away power users, or whether they’ll put up with it like they always have. For me, the ‘while you were gone’ feature seems like something that might be useful if you’re relatively green on Twitter but not so much if you check it really regularly anyway. Most of all, I’m excited that direct messages are actually getting some love and look forward to seeing what shape the messaging on Twitter will take. Yes, the future of Twitter is all about brands shoving advertisements in your face, but not necessarily in a bad way. Twitter’s efforts are a great step towards marriage of data and context so that you actually end up seeing things that really matter to you, at the right time. Users are never going to get excited about advertising, but they’ll happily interact and tap on them if they’re timely and accurate, which is going to be key. Twitter’s other changes are indeed about getting more users on the service, but they’re interesting changes that actually might work. 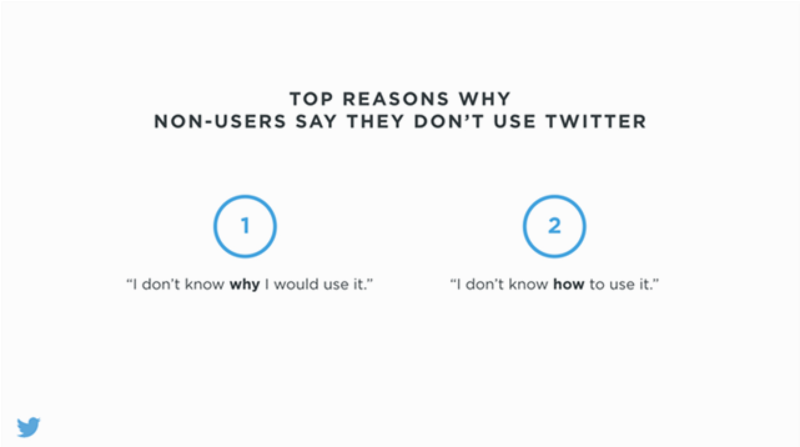 By guiding users as they take their first steps, and helping them find compelling content throughout their visits, Twitter might actually be able to build a more active, content-creating community than it has right now.